How did human societies scale up from small, tight-knit groups of hunter-gatherers to the large, anonymous, cooperative societies of today–even though anonymity is the enemy of cooperation? How did organized religions with “Big Gods”–the great monotheistic and polytheistic faiths–spread to colonize most minds in the world? 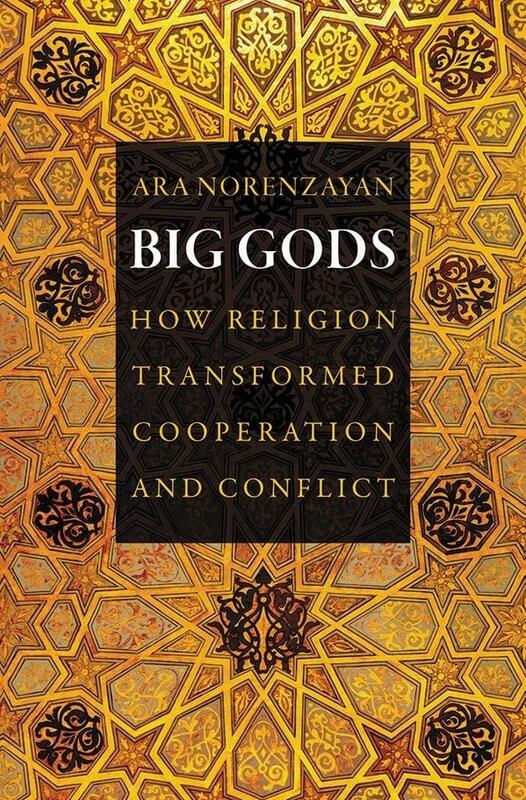 In Big Gods, Ara Norenzayan makes the surprising and provocative argument that these fundamental puzzles about the origins of civilization are one and the same, and answer each other. Once human minds could conceive of supernatural beings, Norenzayan argues, the stage was set for rapid cultural and historical changes that eventually led to large societies with Big Gods–powerful, omniscient, interventionist deities concerned with regulating the moral behavior of humans. How? As the saying goes, “watched people are nice people.” It follows that people play nice when they think Big Gods are watching them, even when no one else is. Yet at the same time that sincere faith in Big Gods unleashed unprecedented cooperation within ever-expanding groups, it also introduced a new source of potential conflict between competing groups. In some parts of the world, such as northern Europe, secular institutions have precipitated religion’s decline by usurping its community-building functions. These societies with atheist majorities–some of the most cooperative, peaceful, and prosperous in the world–climbed religion’s ladder, and then kicked it away. So while Big Gods answers fundamental questions about the origins and spread of world religions, it also helps us understand another, more recent social transition — the rise of cooperative societies without belief in gods. Schaller, M., Norenzayan, A., Heine, S. J., Yamagishi, T., & Kameda, T. (Eds.). (2010). Evolution, Culture, and the Human Mind.Psychology Press–Taylor & Francis. An enormous amount of scientific research compels two fundamental conclusions about the human mind: The mind is the product of evolution; and the mind is shaped by culture. These two perspectives on the human mind are not incompatible, but, until recently, their compatibility has resisted rigorous scholarly inquiry. Evolutionary psychology documents many ways in which genetic adaptations govern the operations of the human mind. But evolutionary inquiries only occasionally grapple seriously with questions about human culture and cross-cultural differences. By contrast, cultural psychology documents many ways in which thought and behavior are shaped by different cultural experiences. But cultural inquires rarely consider evolutionary processes. Even after decades of intensive research, these two perspectives on human psychology have remained largely divorced from each other. But that is now changing – and that is what this book is about. 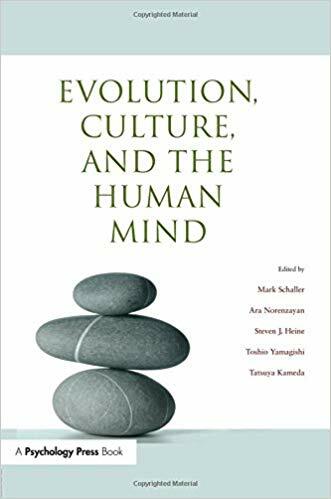 Evolution, Culture, and the Human Mind is the first scholarly book to integrate evolutionary and cultural perspectives on human psychology. The contributors include world-renowned evolutionary, cultural, social, and cognitive psychologists. These chapters reveal many novel insights linking human evolution to both human cognition and human culture – including the evolutionary origins of cross-cultural differences. The result is a stimulating introduction to an emerging integrative perspective on human nature.